Fully lockable steel vision doors allow for secure yet visible content. Robust welded steel reinforced housing for regular use in working environments. Shatter resistant Perspex windows, for heavy duty workspaces. Galvanised steel shelving is wholly adjustable with a 25mm pitch. 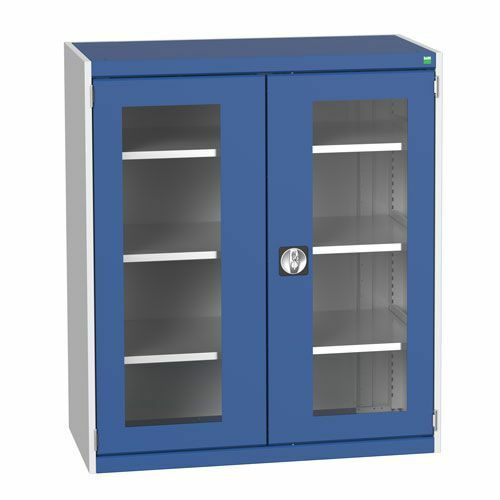 Hard wearing storage cupboard with Perspex clear doors for easy visual stock-taking 1200x1050mm.